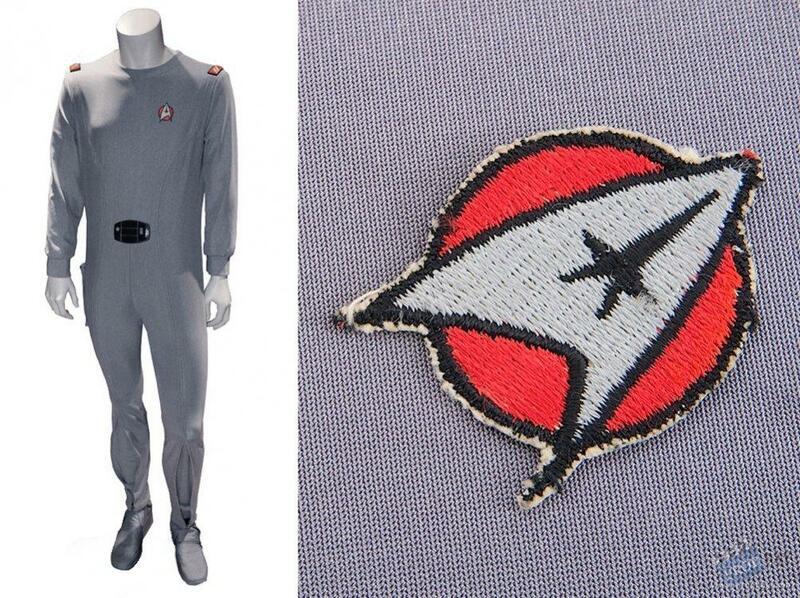 Costume worn in various sequences of Star Trek: The Motion Picture by "Chief Engineer Montgomery Scott" (James Doohan). A full-length, grey, Class-D jumpsuit with a functioning pocket and faux-flap on the pocket, Velcro and clasp size adjustment on the ankle cuff, and a zipper up the back. Sewn in Western Costumes Co. Hollywood tag reads "James Doohen". Some expected usage/wear due to age and filming, but otherwise in very good condition. Costume comes complete with full documentation. STAR TREK: The Motion Picture (1979) Paramount Pictures. Directed by Robert Wise. When plans to launch a second Star Trek television series in the late 1970s were scrapped by Paramount Pictures, the show's creator, Gene Roddenberry, instead transformed the aborted program's 2-hour pilot into this big budget theatrical feature. Five years after the legendary voyages of the starship Enterprise, James T. Kirk (William Shatner) is an unhappy, desk-bound admiral at Starfleet headquarters. Kirk goes aboard his old vessel to observe its re-launch under new captain Will Decker (Stephen Collins). Soon, however, an escalating crisis causes Kirk to take command of his old ship. A mysterious, planet-sized energy force of enormous power is headed for Earth. Reunited with Spock (Leonard Nimoy), Dr. Leonard "Bones" McCoy (DeForest Kelley), and the rest of his former colleagues, Kirk takes the Enterprise inside the massive energy cloud and discovers that it is the long-lost NASA space probe Voyager. Now a sentient being after accumulating centuries of knowledge in its deep space travels, the alien, which calls itself V'ger, has come home seeking its creator. If you have any STAR TREK props for sale, please feel free to contact me as I am always interested in expanding, changing and trading my collection. Added: 06-16-2014 - Viewed: 1557 times.